Ząbkowice Śląskie is a relatively large town of Lower Silesia, situated 40 km on the south-east off Świdnica. No matter from which side you enter the town, you need to head for its center, cross the Market Square and drive out through the Armii Krajowej Street. It runs slightly downwards, and at the end there is a sharp turn on the left. 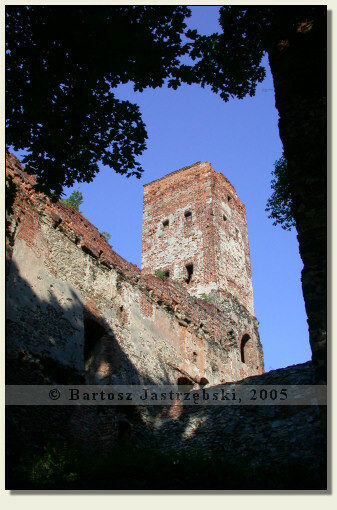 At the peak of that turn the Krzywa Street diverges right, by which there are the ruins of the castle. 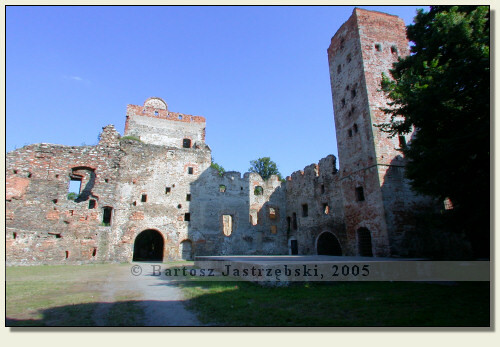 The history of the castle in Ząbkowice Śląskie dates back to the beginnings of the XIVth cent. 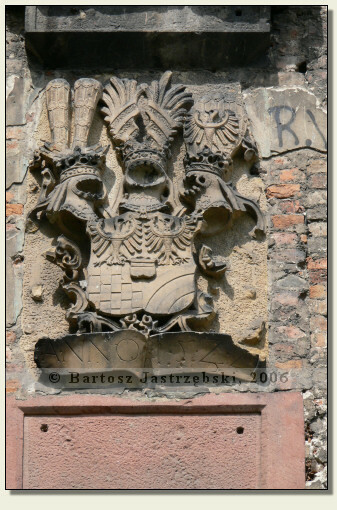 The first mentions of the stronghold existing there originate from 1321, and duke Bernard of Świdnica is regarded as its builder. 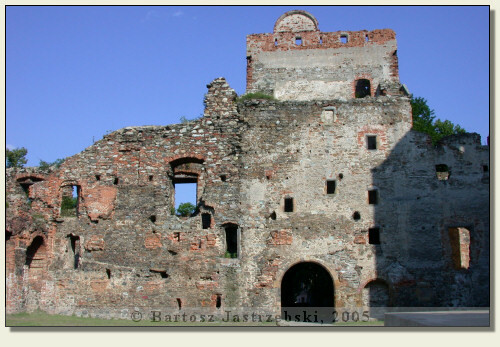 15 years later the duke Bolko II of Ziębice pawned the town with the castle, whereas his son duke Nicholas the Small went even further and in 1351 sold a pawned estate to Charles IV. 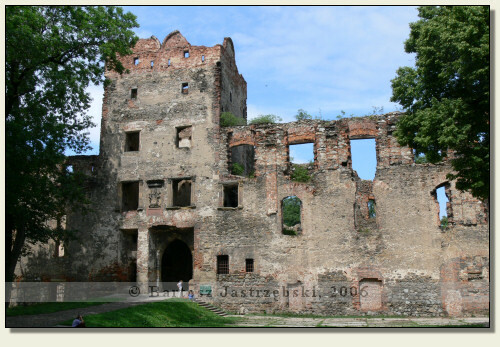 Then the castle belonged to the Luxembourg, and in Hussite wars' time was destroyed. In the second half of the XVth cent. 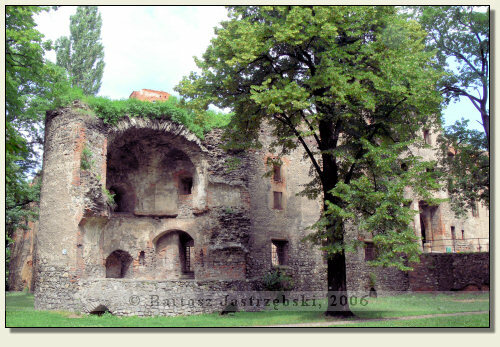 the ruins became the Podiebradowicz family's property, who reinforced the castle. 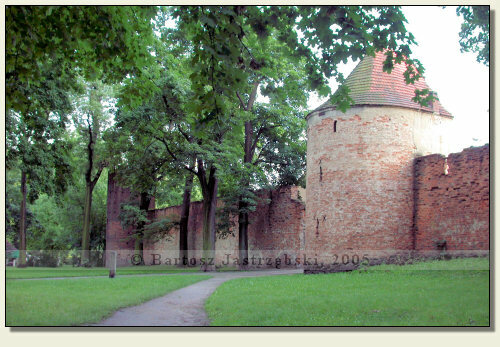 Construction works, however, did not help much, since in 1468 the stronghold was destroyed again, this time by the burghers of Wrocław. 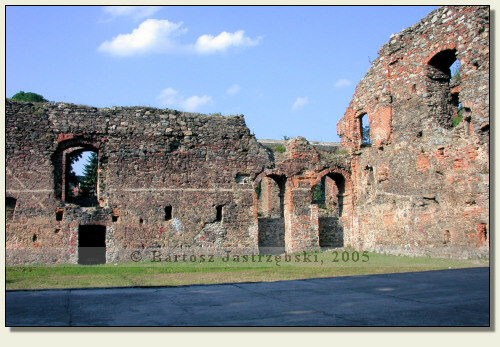 Subsequent destructions were brought by the siege and the conquest of the castle by Hungarian armies in 1489. 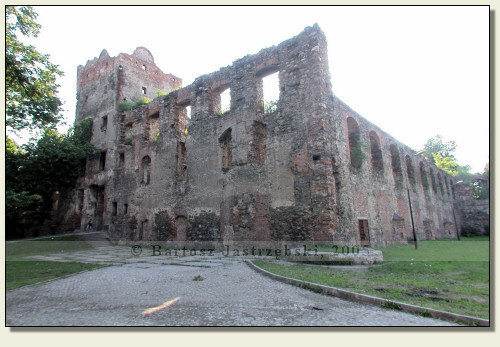 In the years of 1524-1532 on the remnants of the medieval castle arose the renaissance residence, the ruins of which you can admire at present. In the second half of the XVIth cent. 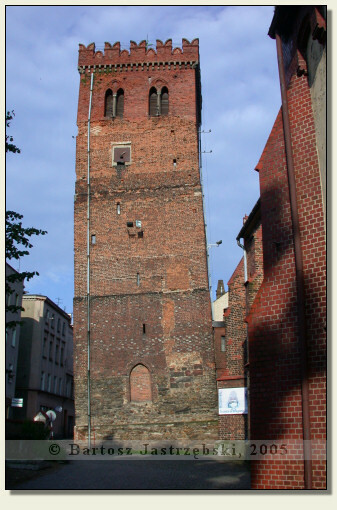 the building gained the reinforcements, which, however, did not rescue it from destructions again, this time caused by thirty-years' war. 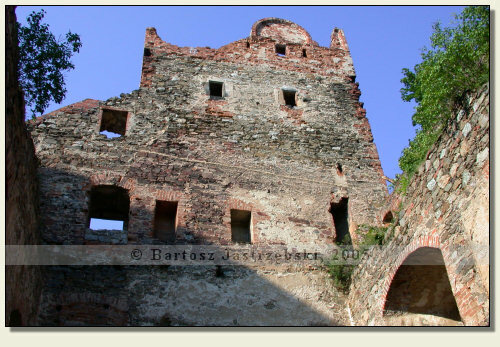 Abandoned in 1728 the castle suffered from partial burning in 1784 and since then has remained in ruin.